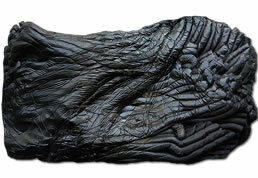 The tire reclaimed rubber can be used alone in the production of rubber products such as rubber sheets, rubber blocks and rubber miscellaneous pieces, which significantly reduce the raw material cost, but the pure tire reclaimed rubber compound will be produced during the extrusion or vulcanization process. The large shrinkage makes it difficult for subsequent processing. At this time, it can be used together with the rubber reclaimed rubber to improve the rubber processing process. As a kind of cheap reclaimed rubber product, the rubber reclaimed rubber should be used when it is used together with the tire reclaimed rubber. The tire reclaimed rubber is a product of waste tire rubber powder. The price of ordinary tire reclaimed rubber is below 2,000 yuan/ton. The rubber reclaimed rubber is made of waste industrial rubber products or other mixed waste rubber as raw materials, which are crushed and impurities are removed. The price of low-grade reclaimed rubber obtained by desulfurization is related to the waste rubber raw materials used; generally, when determining the combined ratio of tire reclaimed rubber and rubber reclaimed rubber, rubber products manufacturers should use as much reclaimed rubber as possible. It is the price of the selected tire reclaimed rubber and the rubber reclaimed rubber, which is higher in price. Recycled rubber in the tire reclaimed rubber can significantly reduce the cost of raw materials. However, due to the complexity of the waste rubber materials used in the rubber reclaimed rubber, the rubber hydrocarbon content of the rubber reclaimed rubber produced by different raw materials is different, so it is necessary to consider the rubber regeneration. The rubber hydrocarbon content in the rubber, if the rubber rubber used in the rubber reclaimed rubber contains a poor quality of rubber hydrocarbons, it is necessary to reduce the proportion of the rubber reclaimed rubber in the tire reclaimed rubber and the rubber to the extent that the rubber processing performance allows. The quality of tire reclaimed rubber and rubber reclaimed rubber processed from different kinds of waste rubber products is uneven. The same kind of reclaimed rubber produced by different manufacturing methods also has great differences in performance. For example, the tread reclaimed rubber produced by a large amount of electrothermal dynamic method has less oil content, higher hardness and relatively poor processing technology; the same waste tire tread is processed by oil method or hydrothermal method. The rubber contains more oil, and the softener makes the viscosity of the rubber increase and the hardness decreases. Therefore, the manufacturing method is also a reference value for judging the quality of the tire reclaimed rubber and the rubber reclaimed rubber. In the tire reclaimed rubber and using a proper proportion of rubber reclaimed rubber, it can improve the rubber processing technology, reduce the shrinkage rate, and reduce the cost of raw materials. When used together, it is not only necessary to judge the tire reclaimed rubber and the rubber reclaimed rubber according to the quality and demand. In order to use the ratio, it is necessary to rationally design the formula, formulate the mixing and vulcanization process, and optimize the quality and minimize the cost under the premise of satisfying the demand. Although in practical applications, tire reclaimed rubber and rubber reclaimed rubber are used in the production of low-grade rubber products that do not require high physical and mechanical properties of the rubber compound, each rubber product has a certain physical property to the rubber compound used. Requirements, therefore, rubber products must not blindly choose inferior tire reclaimed rubber or miscellaneous rubber reclaimed rubber in order to reduce costs. It is necessary to select the low-cost tires on the premise of satisfying the demand for rubber products. Reclaimed rubber and rubber reclaimed rubber. Next：How much temperature does the tire reclaimed rubber have? 6What rubber modifiers will be used in butyl rubber products?